This is such a great way to use those free paint chips you can get in your local home improvement store. 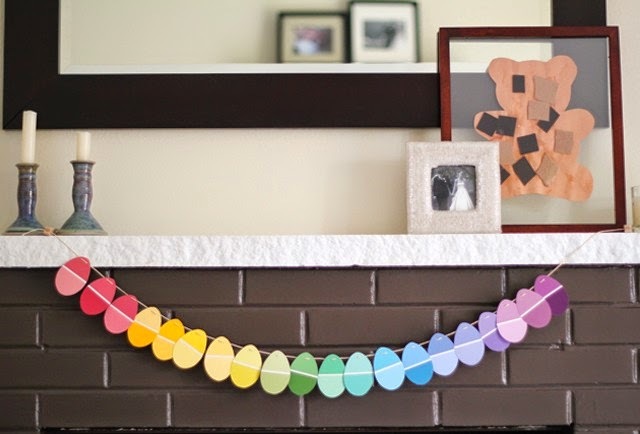 Your kids will love working with you and decorating for Easter. For the full tutorial, head on over to Modern Parents, Messy Kids. Just click on the photo above.